Hartpury University and the University of Exeter continue to be the usual suspects when it comes to BUCS Rugby. Over the last three seasons we have seen both institutions secure silverware in the university game and this year, Hartpury and Exeter are right at the front of the queue for honours once again. Exeter claimed the BUCS Championship crown in 2016, but since the introduction of BUCS Super Rugby, Hartpury have been the cream of the crop. Back to back titles, including an enthralling victory over Exeter in 2017, means the Gloucestershire outfit are still the ones to beat. With Exeter topping the league table last term and with Hartpury still in possession of the BUCS Super Rugby Championship trophy, it has all the ingredients needed to be a classic when the two sides meet on Wednesday evening in the latest chapter of this bubbling rivalry. Both teams have plenty of recent history between them and someone who will definitely have a vested interest this week is current Hartpury RFC captain Simon Linsell. Linsell joined the GK IPA Championship side last August after completing his Arabic and Middle Eastern Studies degree at Exeter and during his time in Devon, he also skippered the university side. “I am stuck between a rock and hard place at the moment!” Linsell told TRU. “I am getting banter from my Exeter mates saying I’m a traitor and then the Hartpury squad won’t let me forget about the [41-15] defeat at Sandy Park last year and Twickenham the year before that. Despite his strong connections with Exeter, Linsell actually played for Hartpury before going to university. The lock was part of Hartpury’s National Two South side which meant his move back to Gloucestershire wasn’t too daunting. Hartpury’s rise continued following Linsell’s first stint with the club. After gaining promotion to National One in 2013-14, Hartpury established themselves in the third tier of English rugby before creating a new piece of history. During the 2016-17 campaign, Hartpury astonishingly won all 30 of their domestic matches to romp to the league title and earn a place in the Championship. John Barnes’ side finished 10th in their maiden season in the second tier and Linsell returned to Gloucestershire last summer. To his surprise, he was named club captain just over year after leading out Exeter against Hartpury at Twickenham. “At the time, it was more about the sad news that captain Rhys Oakley had been diagnosed with cancer,” said Linsell. “Last week, we had the fantastic news that he is now cancer free so we are all delighted for him and his family. Linsell’s move to the Championship saw him become one of the first players to advance from BUCS Super Rugby into the professional game. Since the 2017 final between Hartpury and Exeter, the number of athletes who have progressed via the university rugby route has continued to increase. Sebastian Negri, who is becoming a permanent fixture for Italy, is a name which leaps out when looking back at the BUCS Super Rugby Championship final from two years ago. The likes of Exeter Chiefs’ Tom Lawday was also involved that day while Bristol Bears’ Harry Randall was the star of the show at Twickenham. One of the most recent and more notable examples of a player benefitting from the university rugby system is Harlequins’ Alex Dombrandt [Cardiff Met] and Linsell can only see the positives of BUCS Rugby. He added: “University rugby has potentially gone full circle. If you look back to the amateur days, it was probably a good breeding ground for top teams and then as the academy system and the AASE system came in, university rugby was sort of put on the back burner. “I think now people are realising rugby isn’t football. You can’t play into your thirties and retire on the money you’re going to earn because there is not the same money in rugby. To have a degree to fall back on should rugby not work out, or when you inevitably have to retire, is key. Linsell admits BUCS Super Rugby allowed his move to Hartpury to feel like a ‘natural progression’ and he is hoping to have an impact in the second-half of this season. 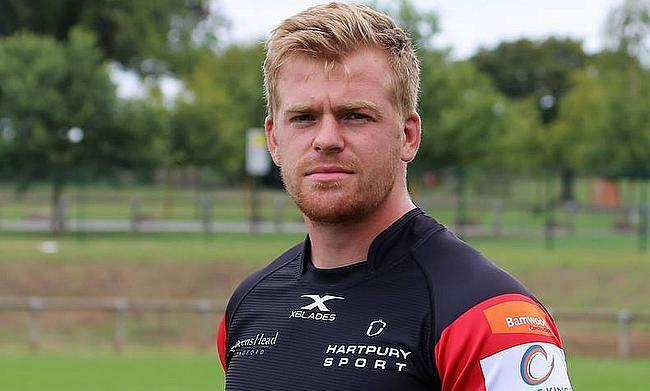 Hartpury currently sit bottom of the Championship after 13 matches, but the skipper is remaining upbeat as his side sit six points adrift of safety. “It is no secret that we are in a relegation scrap,” Linsell said. “We’re not going to lie about that. Obviously, our main objective is to stay up. At the beginning of the season, our targets were to push on to midtable, but obviously now it is focused on survival. We will keep fighting. "We are just past the halfway point in the season so there are plenty of games left, but every week we lose, we are running out of time a bit. Linsell is clearly targeting a strong end to the season with Hartpury in the Championship, but first up, his attention will revert back to a Wednesday evening and BUCS Rugby. As things stand, Exeter are five points clear at the top of BUCS Super Rugby, while Hartpury sit in third place and six points behind their fierce rivals, but they do have a game in hand. The Gloucestershire side have won the last three meetings between the teams, including a 29-0 victory at Topsham in December, but Linsell insists he will remain impartial throughout. “I have got mates in both teams and vested interests in both teams so the best thing is to remain neutral. It might sound like a cop-out answer, but for me it is the right thing to do!